Steven R. Smith is an American musician, instrument-builder, and printmaker often associated with the Jewelled antler collective. He was the drummer for Mirza in the mid-late '90s. Born in Fullerton, California and based in San Francisco and, more recently, Los Angeles, his musical output began in the mid-1990's and continues on at the present. His main instrument is guitar, although other instruments, including the hurdy gurdy, bouzouki, fretted spike fiddles, and assorted ethnic instruments, have been incorporated into his work. Smith's music tends to range from dense, orchestrated pieces to sparse solo excursions on electric guitar and is improvised as often as composed. His music has drawn elements from psychedelic rock, traditional folk music, soundtracks, free jazz, and modern composers, and tends to be contemplative and somewhat mournful. Some of his records feature elaborate packaging, woodcut and linocut prints, and hand-made chapbooks. Throughout his career Smith has recorded for a number of independent labels such as Soft Abuse, Catsup Plate, Last Visible Dog, Jewelled Antler, Darla Records, Imand, most frequently, Emperor Jones who has handled the bulk of his more recent releases. 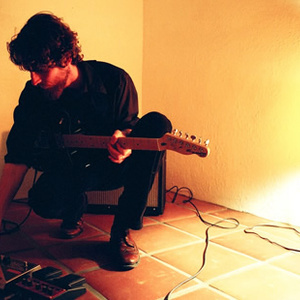 In addition to his ongoing solo work, Smith has been a member of the instrumental psych-rock group Mirza, the improvisational group Thuja, and Hala Strana, a project which focuses on the traditional music of Eastern Europe. A reluctant live performer, Smith has appeared in the occasional live setting with Mirza and Thuja, but remains elusive in regards to solo performances. He has recently embarked on a new project, Ulaan Khol.